To see a lion in your dream symbolizes cooperation, getting opinion, achievements and money. If you grow a lion in your dream, it means that you will help your relative having financial problems. To dream that you are attacked by a lion suggests that you will share your money with a person who needs it. If a lion attacks a person in your dream, it denotes that one of your friends will want your help about financial issue. To see that you become a lion in your dream symbolizes a person's aid related to your health. If a person whom you know becomes a lion, it means that good progresses regarding your health will occur. To see that you chase a lion in your dream implies that you will have a discussion with your friends but thanks to one of your family, this discussion will come to an end. To kill a lion signifies that you will meet new people and you will set up business with these people. If a lion roars in your dream, it means that you will have good days with your friends and you will hear good news from one of your close friends. To see of escaping from a lion in your dream implies that you will have valuable things but they will go out of your possession as soon as possible. To see a person who escapes from a lion in your dream means that you will spend some money for good reasons. To speak with a lion in your dream implies that you will make some changes in your house and thanks to these changes, some money will go out of your possession.If you see a person who talks with a lion in your dream, it refers to a valuable gift coming to you. To see head of a lion refers to discussions within family. To eat a lion's meat in your dream symbolizes successes in your job and money that you will earn thanks to your successes. If you see a person eating a lion's meat, it means that you will be at the forefront in your environment thanks to your achievements in your job. To dream that you mount the lion signifies that you will solve your questions as soon as possible and you will be relaxed. If you see a person who mounts the lion in your dream, it implies that you will be helped when least expected. To see a lion within a house in your dream indicates that you will put distance from people who intervene your life. To see that you fight with a lion in your dream refers to a journey you will have with your partner and exciting events you will have during this journey. 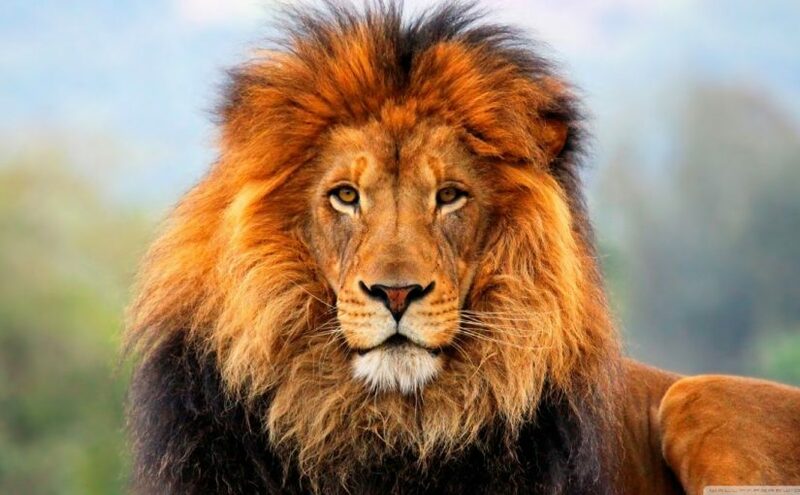 To dream that you are afraid of a lion may represent that you will have an important phone conversation and at the end of this conversation, you will make business with some people. To see a lion in a cage refers to new people that you will meet in a crowded environment. To drink turkish raki ( the lion's milk is the nickname for it) in your dream denotes nice conversation with a person within your family and important topics that you will talk about. To see a baby lion in your dream signifies that you will use your savings in an important and difficult condition. If you grow a baby lion in your dream, it symbolizes people who will help you about any kind of issues.